Discover a beautiful and affordable way to enhance your home's interior with our line of Tribute paint. With hundreds of colors in multiple sheens, adding a fresh new color AND new flooring will truly transform your room. Tribute interior paint is the most technologically advanced acrylic product to date, offering the best of coverage and stain resistance in one convenient package. At Dave Griggs' Flooring America, we take a new approach at paint technology. Visit our showroom to browse colors, and let us help you match your favorite floor with your favorite colors. We will order your paint selection and send it straight to your door. Want us to do some homework on your selection before you arrive? Contact us before your visit and tell us about your project - complete the form on this page. We can have the latest flooring styles paired with the hottest colors of the year... ready and waiting for your visit. 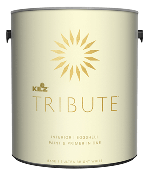 Tribute interior paint combines the properties of both paint and primer to deliver a variety of benefits in just one application. Forget about stains. 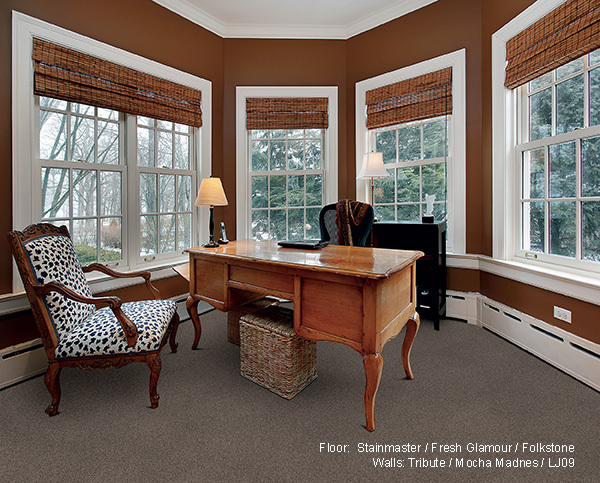 Tribute boasts exceptional stain-blocking properties and also resists future smears and spills. 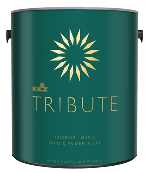 Unlike many paints, Tribute is brought to you by the makers of Kilz stain-blocking primers, so you can be sure the stain blocking capabilities of Tribute are the most superior in the industry. By partnering with Kilz to offer you the Tribute collection, we are able to bring our clients the very best in specialty paint. Kilz is known nationally for its commitment to creating products that offer pure, striking colors and reliable coverage. When you purchase Tribute interior paint, you receive more than just flawless coverage and exceptional quality. You receive the latest in color fashion combined with industry-leading, stain-blocking and color retention technologies. Plus, when it comes to your flooring purchase, don't forget about our Lifetime Limited Warranty. This exclusive flooring warranty comes with all of the following benefits for the flooring that is used for your project. Lifetime Installation Guarantee:Though we're proud of our work, we're more than happy to correct any mistakes or accidents occurring due to flooring installation-related issues. Locally Owned Advantage:As a co-op, Flooring America provides us with the tools and advantages to help create the best shopping experience. As a local company, we've been providing flooring, paint and more to the area for over 40 years. We are neighbors in your community, giving a hand up where we can and keeping dollars local within the community.